The Association of Government Accountants has selected Jackson State University’s assistant accounting professor Dr. Annette K. Pridgen as a recipient of its national 2015 Cornelius E. Tierney/Ernst & Young Research Award for outstanding leadership, accomplishments and service to the profession and communities. 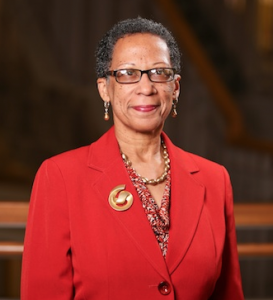 Dr. Annette Pridgen is recognized for her leadership and service to the profession and communities. Pridgen, a member of the accounting organization for nearly 30 years, expressed gratitude for the recognition. JSU accounting chair Dr. Quinton Booker said, “We’re very proud to have Dr. Pridgen. She clearly is an expert in governmental and non-profit accounting. She does an amazing job of teaching our undergraduates and graduates. Indeed, she is an unbelievable asset to our department, and we’re very glad to have her.” What’s more, says Booker, is that she is a product of JSU, where she received her bachelor’s and master’s degrees. Also, for supporting her academic agenda, Pridgen acknowledged Dr. Ramin C. Maysami, dean of the JSU College of Business in the Liberal Arts Department. As well, it said recipients make an extraordinary impact by encouraging and supporting others in government financial management research. Each of the national winners was recognized recently at the 64th Annual Professional Development Training in Nashville.